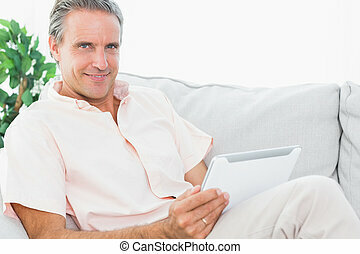 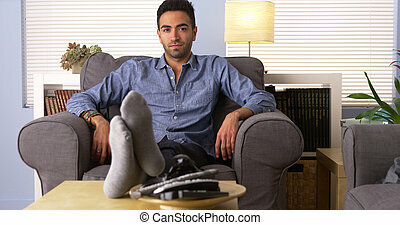 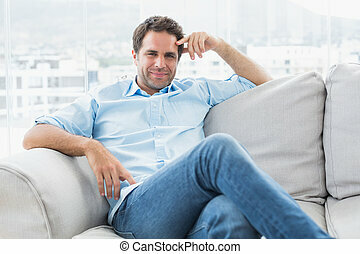 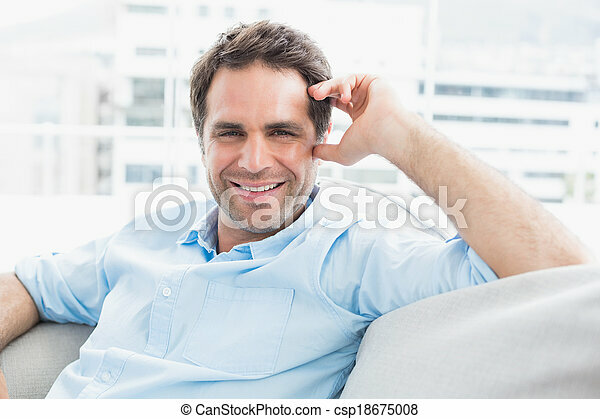 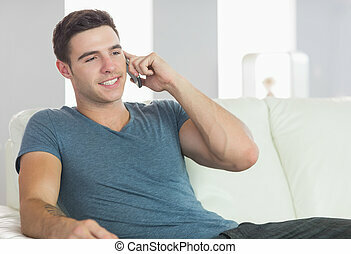 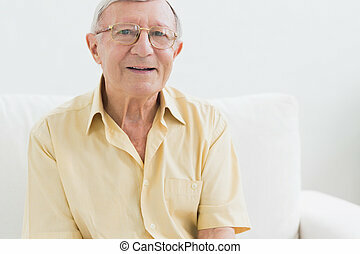 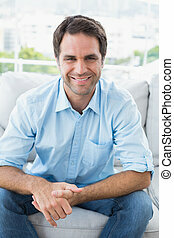 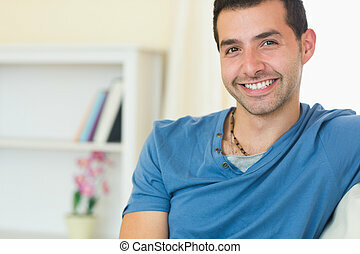 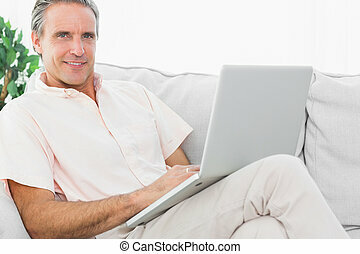 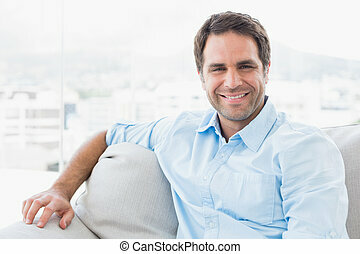 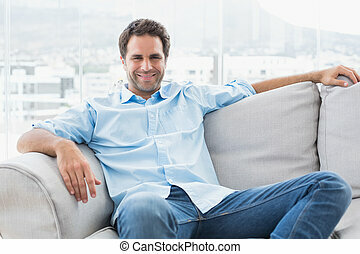 Cheerful handsome man relaxing on the couch looking at camera at home in the living room. 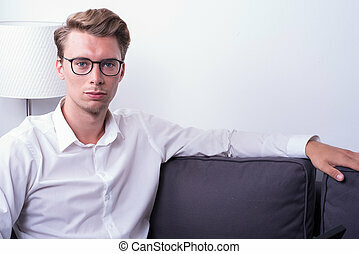 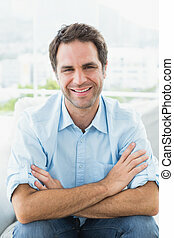 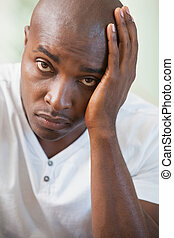 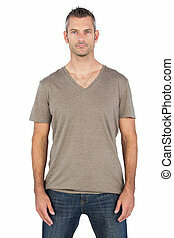 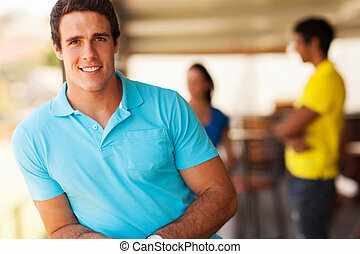 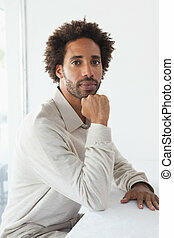 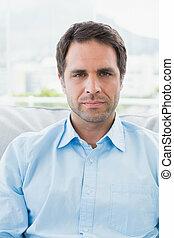 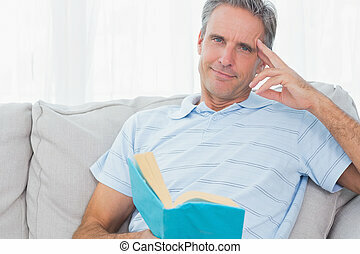 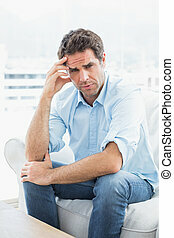 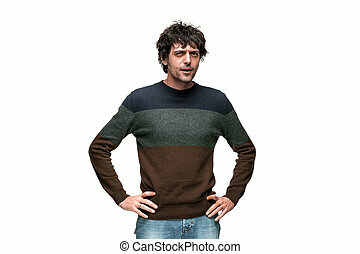 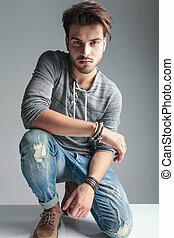 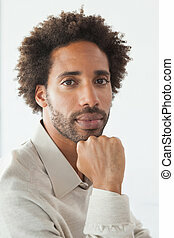 Portrait of a handsome fashion man looking at the camera while relaxing his arm on the knee. 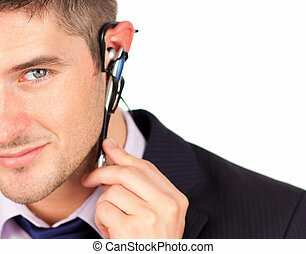 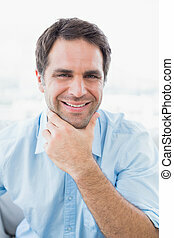 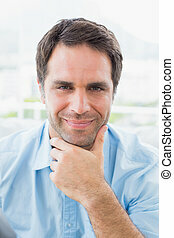 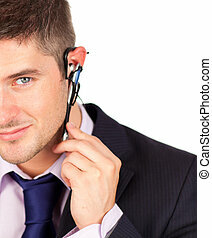 Close up of a handsome business man looking at the camera. 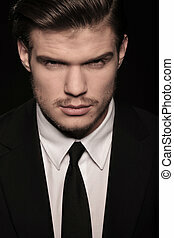 on black background. 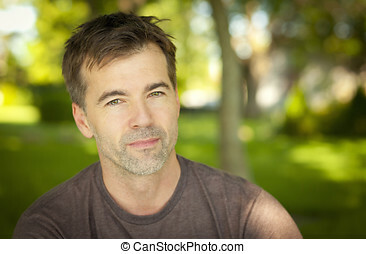 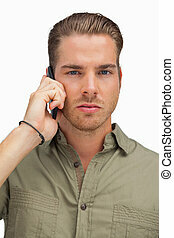 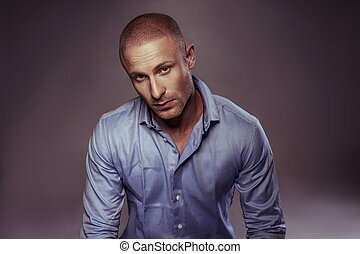 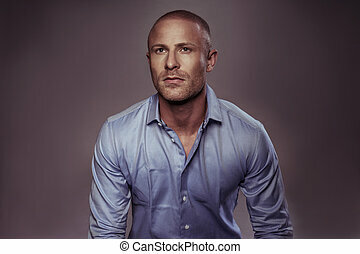 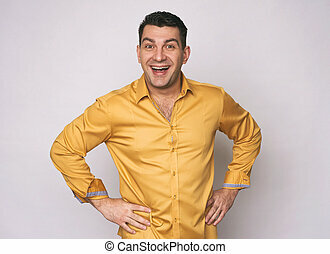 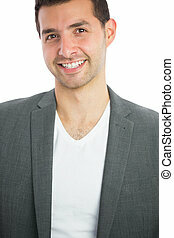 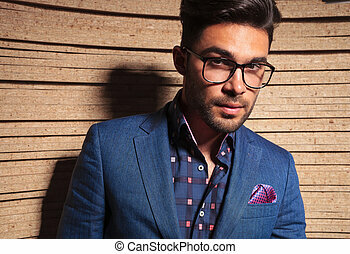 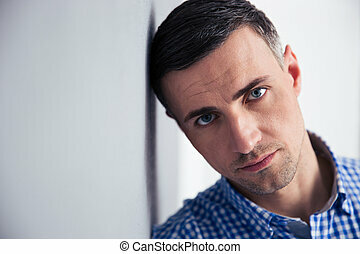 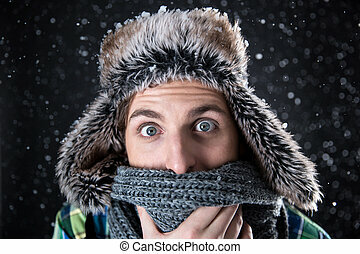 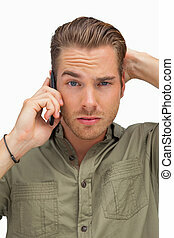 Close up picture of a handsome fashion man looking at the camera, on wood background. 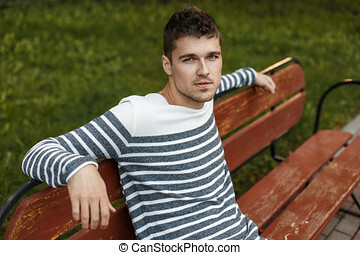 Handsome man sitting on a bench and looking at the camera.